Before you even consider the task of evaluating sample aptitude tests before applying for a position, your first step is to attract the attention of a potential employer with a stellar CV and cover letter. - Proofread, and do it again: Having a single typo on your CV can eliminate your chance to be invited to an interview and to a job test, so ensure your CV is absolutely perfect. Have someone else look it over from a fresh perspective. - Begin with experience: Outline your work experience first, and then include your education. Most employers will have more interest in relevant work-related experience and aptitude over formal education. - Include specifics: Generalised statements simply don’t have enough impact, if you are going to include your accomplishments, such as “I have coordinated a sales team that resulted in a 56% increase in two consecutive quarters”, so that you get specific about them. - Summarize: Capture an employer’s attention by including a summary of who you are, why you are a great candidate, and any specifics that may make you a front runner right at the beginning of your CV. - Make it visual: Plain, boring CVs are difficult to read. You can improve the look of your CV by using columns, bold titles, and easy-to-read (sans-serif) fonts. Try to keep information in point form so it can be quickly scanned. The easier your CV is to read, the better chance you have that it will be thoroughly read by a potential employer. - Go PDF: A PDF version of your CV will be easier to open and read than a Word or Writer file, so consider saving your CV as a PDF prior to sending. 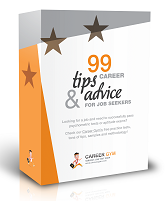 - The single most important tip for writing cover letters is to remember that an employer wants to know how exactly you are going to help them and how you can contribute to their own objectives. This means when you write about achievements, skills, and accomplishments you need to include how these in particular make you a better candidate and how these tie into the employer’s offering. - The cover letter should be kept to 10-15 sentences, any more and the employer may lose interest. - Remember that you want to lead them from the cover letter to your CV, so tie in the fact that your CV has further details. - Finally, thank the employer for their time and include contact information so they can call you for a testing interview! Questions? Comments? Try our FREE and Premium Job Test Prep Webinars and ask for our experts’ Assessment Centre advice!